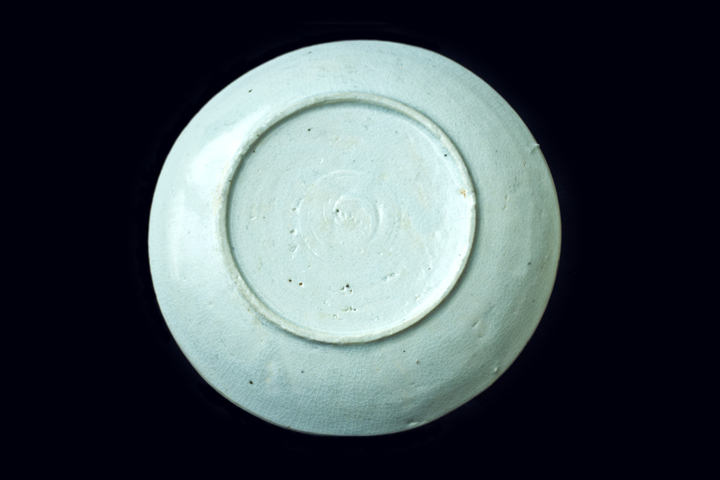 Appraisal: The depth of this dish is shallow, but its edges are more arched. 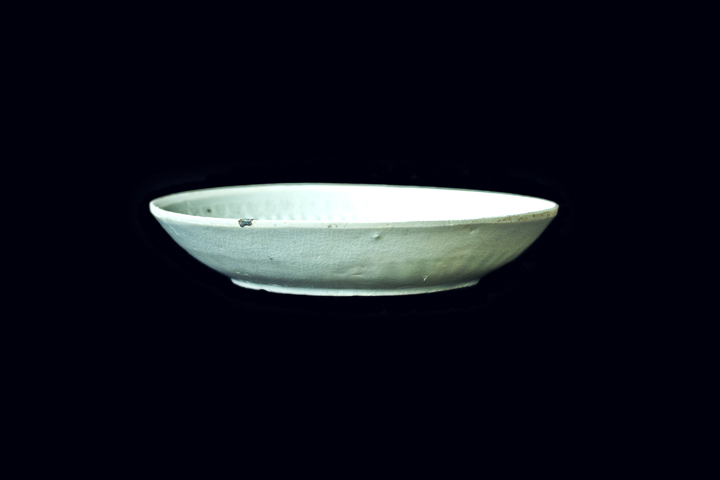 It is wider at the bottom, as well as along the rim — these are in full compliance with the characteristics of the celadon-white porcelains from the Yuan Dynasty. 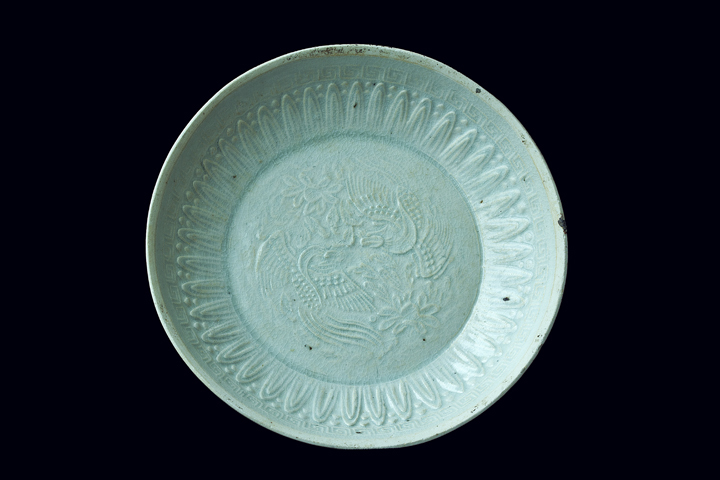 The dish was painted with multi-layer-pointed-shape lotus petals. 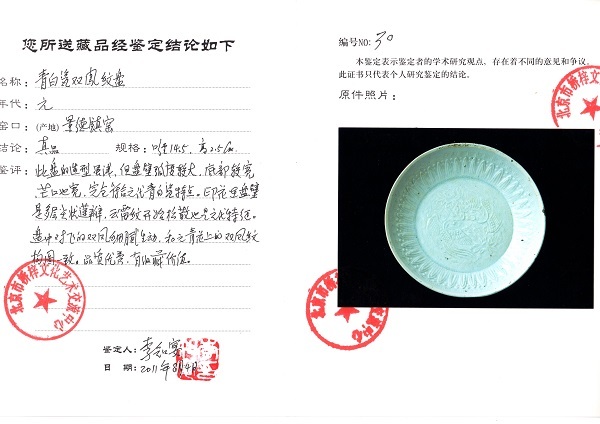 Around this period, the Yunlei Pattern began to become loose — these are some of the characteristics typical of the objects made from the Yuan Dynasty. The two phoenixes flying face-to-face appear exquisite and lively — matching the composition of the Twin Phoenixes Pattern showed on the blue and white porcelain from the Yuan Dynasty. This object is of excellent quality, highly worthy of collection.